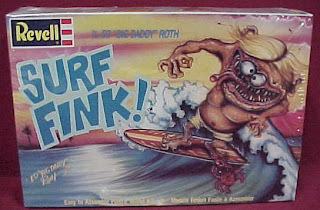 : Board Collector: Surf Fink! Collecting vintage surf boards isn't all about the surf craft. The real fun comes when you get hold of the associated memorabilia like this original Big Daddy Roth designed Revel Surf Fink model my friend Keith found for me in a Penrith junk shop.